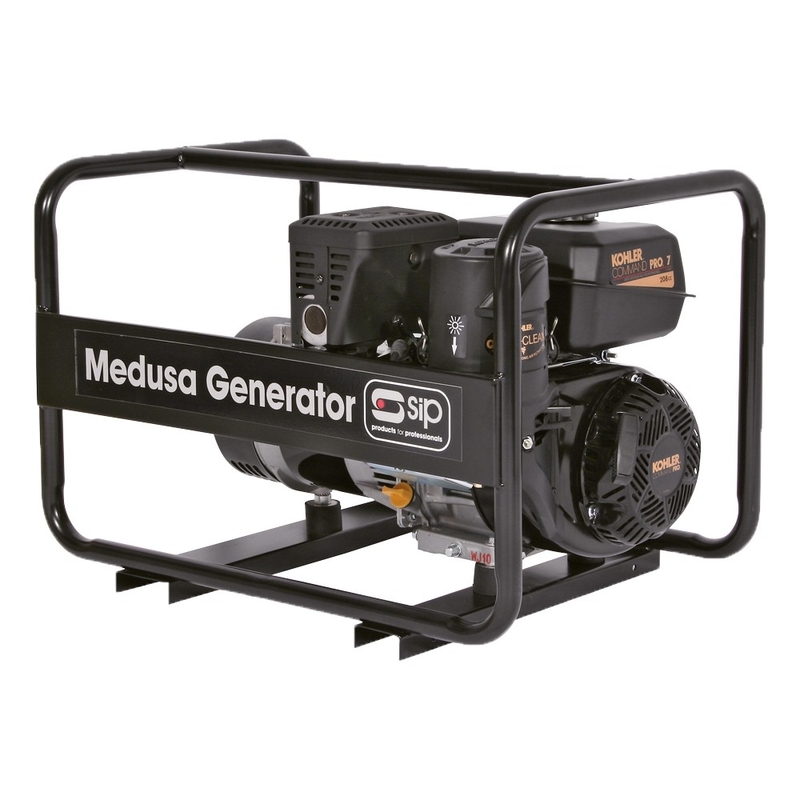 SIP professional Medusa MGKP7.0FE generator is powered by a USA designed Kohler 14hp petrol engine. This robust and reliable machine is perfect for use in industrial applications and work sites. Designed to give a 7kva continuous rated output and 7.5KVA maximum output this full frame generator features a 7.3 litre fuel tank capacity to allow for an approximate run time of 2.8 hours. Featuring a Quad Clean™ heavy duty cyclonic air cleaner with cyclonic action which forces large particles of contaminants out of the engine you can rest assured this engine has been designed for enhanced durability. With oversized mufflers, steel forged crankshafts and oversized ignition system. With dual voltage 230v/110v portable electric supply - 1x110v (16amp), 1x110v (32amp), 1x230v (16amp), 1x230v (32amp) sockets. Weighing in at 77kg with dimensions of 540 x 510 x 750mm.